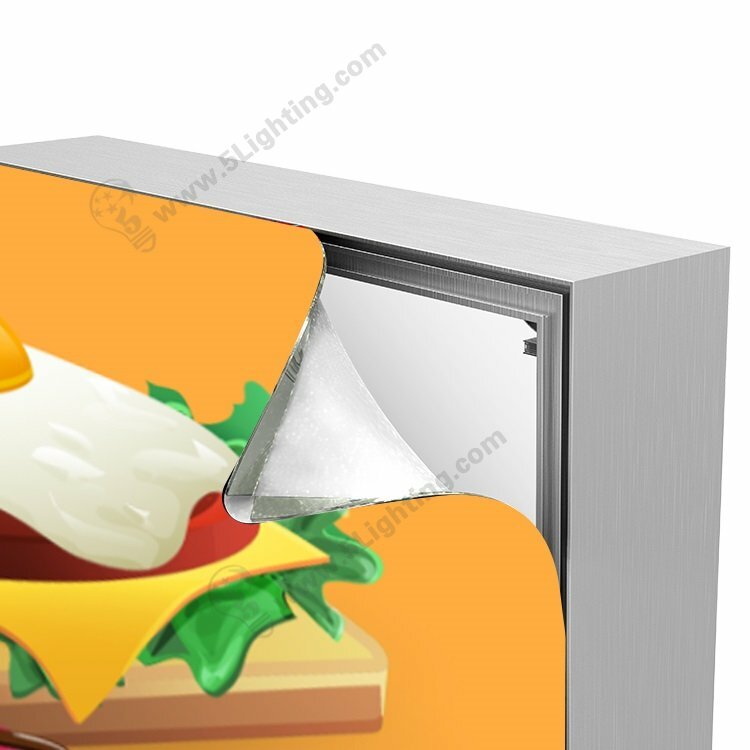 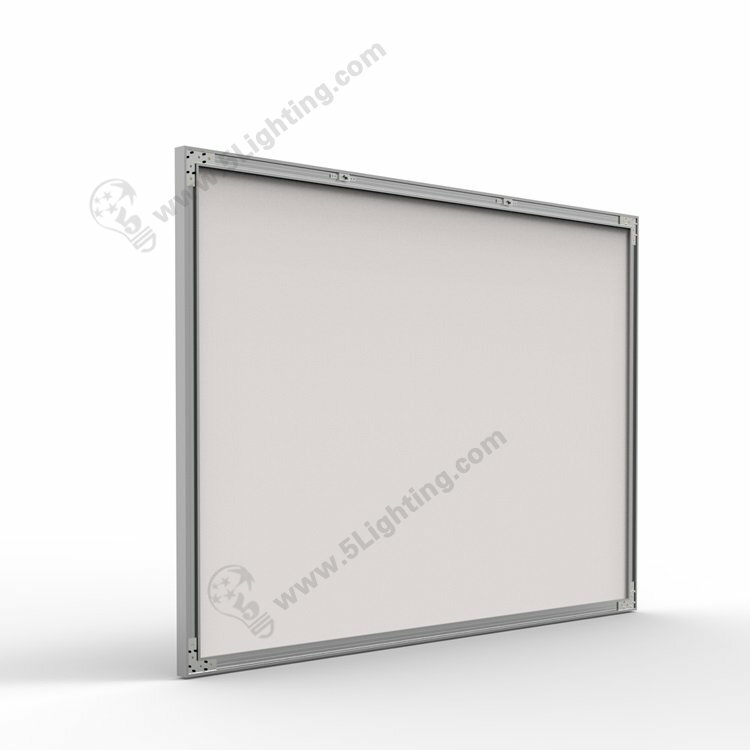 Our slim fabric light boxes is using LGP ( Light Guide Plate) technology : even, super bright, energy saving, life time span design . 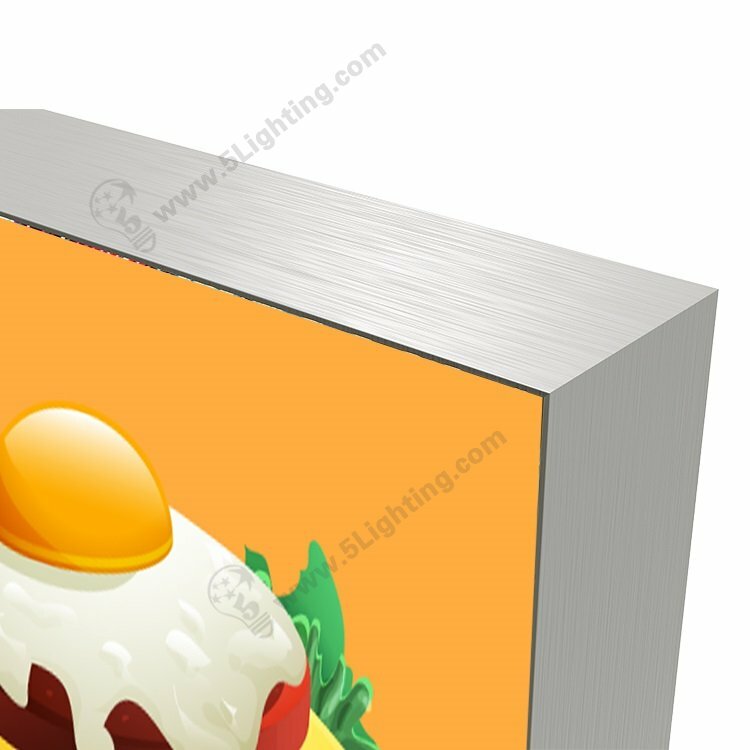 – milling silivery color / black color / custom frame colors can be tailored . 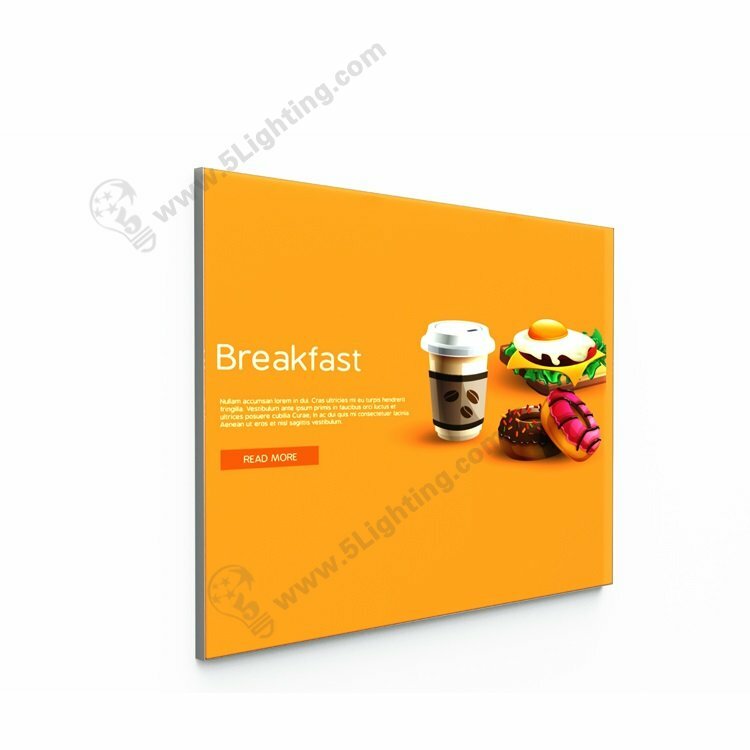 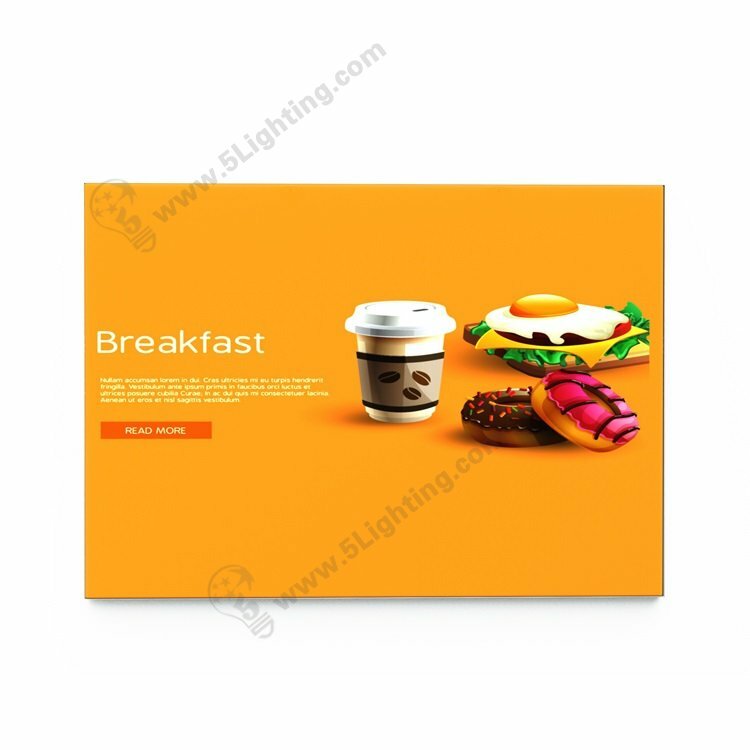 Our normal color temperature is 6000K – 6500K , other CCT like 3000K , 4000K … are available for choosen . 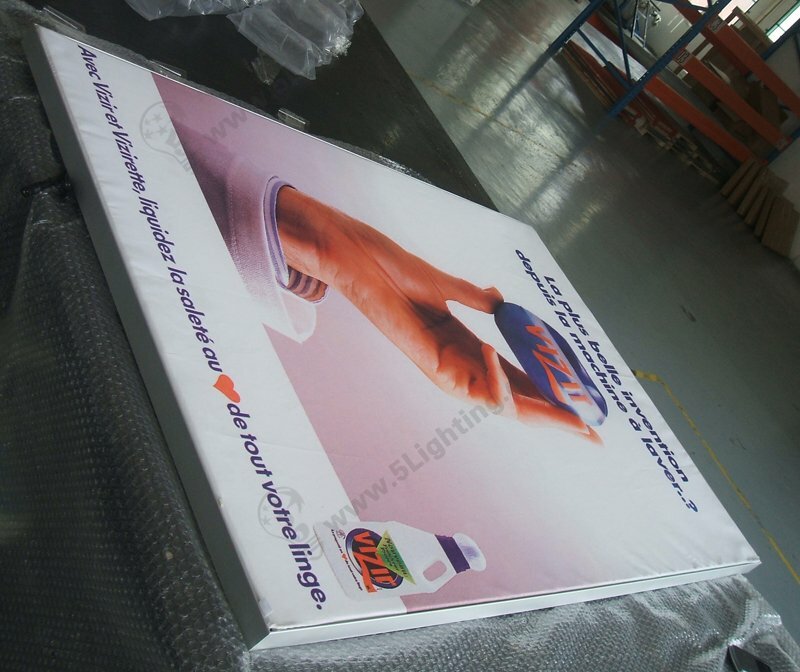 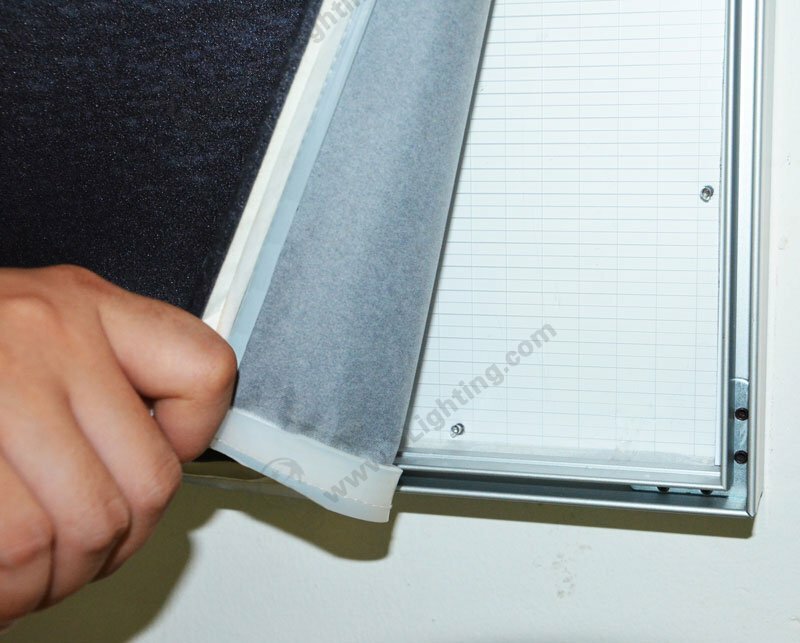 Super thin fabric light box display is lit with long life, brightly led lighting panel sheet on the back . 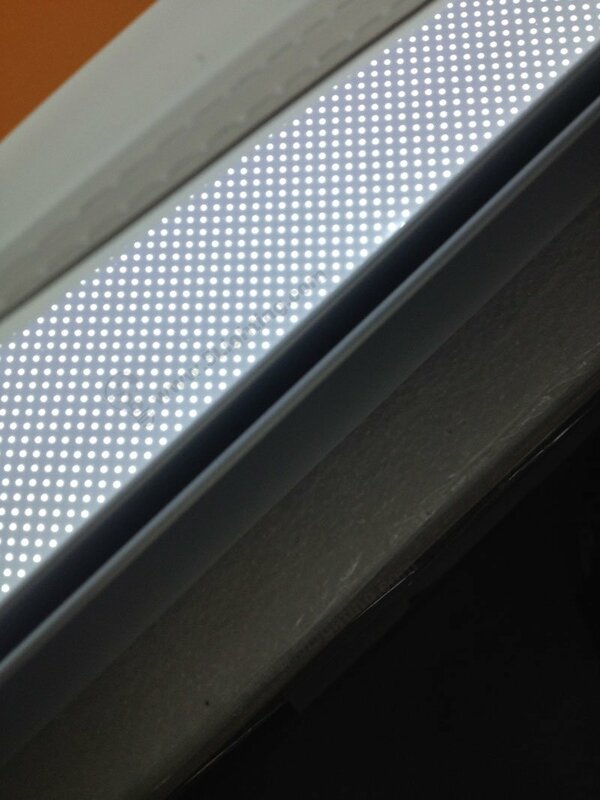 (3) +/- 250 K Kelvin CCT is standard LED industry tolerance .